SINGAPORE (Reuters) - Hong Kong's Cathay Pacific Airways Ltd, in talks to buy low-cost carrier Hong Kong Express Airways, believes budget airlines have a "unique market segment" it does not capture at present, Chief Executive Rupert Hogg said on Monday. 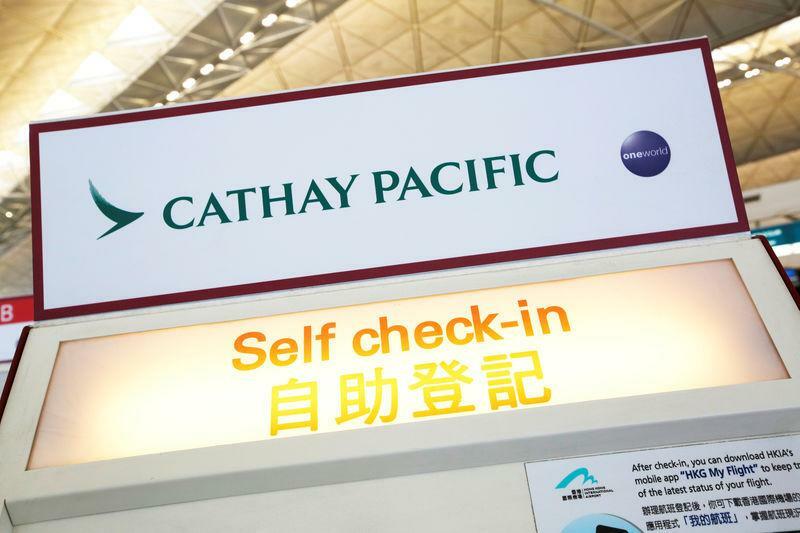 That would boost revenue and give Cathay access to the growing low-cost travel market at a time when a lack of slots at Hong Kong International Airport has constrained its ability to follow peers like Singapore Airlines Ltd and Qantas Airways Ltd and set up its own budget brand. "It does interest us," Hogg told Reuters of the budget airline sector during an interview in Singapore. "We watch Singapore Airlines and Scoot; we can see they are trying to get connectivity between them." He declined to comment on the status of talks to acquire Hong Kong Express but said the low prices offered by budget carriers helped to stimulate new travel demand, making it a "unique market segment". The potential acquisition comes as Cathay faces a more challenging outlook for revenue growth, according to Hogg. Higher airfare and cargo rates pushed revenue up 14.2 percent in 2018, helping the airline last week report a swing to a $300 million profit after two years of loss as a turnaround plan helped it cut costs and increase income. "We've had great revenue growth, both cargo and passenger," he said. "As we look forward we can see the sort of gains in percentage growth terms that we've had, by definition it is more difficult to achieve that." The 18 analysts polled by Refinitiv I/B/E/S on average expect revenue at the airline to grow 3 percent to HK$114.3 billion ($14.56 billion) in 2019. Hogg said the airline was investing in technology to better handle schedule disruptions and product improvements such as better meals to help drive passenger revenue growth, but the macro-economic environment was weaker than last year. "There is a lot of uncertainty," he said. "Uncertainty is definitely bad for corporate sentiment and investment and travel. And it is bad for consumer sentiment." Cargo volume is also weaker than at the same time last year, falling 5.2 percent in January due to a slower Lunar New Year rush than the prior year.